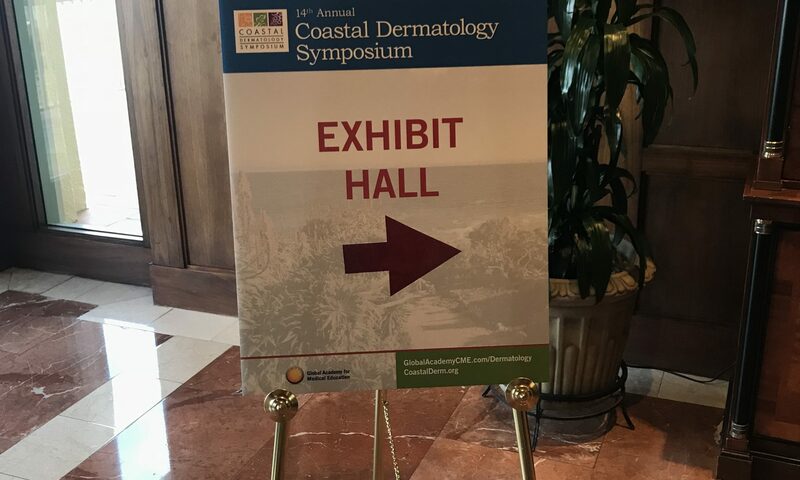 The second of a two-part series with clinical pearls from the 2018 Coastal Dermatology Symposium. Be sure not to miss all the useful points in Part I.
OCPs are still a viable treatment for female patients with acne. You should be sure to take a thorough history to elucidate any risk factors for venous thromboembolism such as smoking, immobility etc. The highest risk will be during the first 6 months of treatment. While OCPs will increase breast cancer risk by 20% if taken for more than 5 years, the initial risk in most of these patients is small given their age. OCPs will also provide protection against ovarian, endometrial and colorectal cancer risk. Rifampin and griseofulvin are the only anti-infectives that will decrease the effectiveness of an OCP. When prescribing spironolactone, Dr. Harper only recommends checking potassium levels in patients over 45 since research shows it is not needed in younger women. Her maximum daily dose for acne is usually 100 mg per day. She recommends avoiding spironolactone in patients with a history of renal, cardiovascular or liver disease. When it comes to the association with increased breast cancer risk, Dr. Harper counsels her patients that this association was found with large doses in rats, so take it with a grain of salt. She notes that a large Danish population study that followed millions of women showed no increased risk. Spironolactone is pregnancy category C with a risk of feminization of a male fetus. However, this effect happens late in the first trimester. Educate your patients that if they should become pregnant, they just need to stop their medication. According to the American Academy of Pediatrics and the WHO, it is safe to use during breastfeeding. When it comes to lab monitoring for patients on isotretinoin, Dr. Harper notes that triglycerides should be the priority. She checks a lipid and hepatic panel at baseline, two months and with each dose escalation. She considers triglycerides of 200-499 to be high and would recommend diet and exercise for these patients. For triglycerides of 500 and above, she would consider fenofibrate and dose reduction. Pancreatitis results from triglycerides much higher than these levels. According to consensus recommendations, ablative CO2 laser and dermabrasion are the only procedures that need to be delayed for patients on isotretinoin. As far as the risk of IBD with isotretinoin treatment, a large French cohort study showed a decreased risk of Crohn’s disease and no change in risk of ulcerative colitis. In patients with chronic itch and no rash, think about invisible dermatoses such as urticaria, xerosis and PMLE. In patients with itch and rash, make sure you’re treating the inflammation and not just the itch. Keep neuropathic causes of itch in mind, whether they be generalized (diabetes) or localized (notalgia paresthetica, brachioradial pruritus). Itch can become a learned behavior. This is the basis for this itch-scratch cycle. In the setting of psoriasis, data shows that patients have the best quality of life when they are completely clear. More clearance is also likely associated with decreased cardiovascular risk. There is data suggesting that treatment with TNF blocking agents decreases cardiovascular risk over time. There is not enough data yet to gauge if IL-17 or 23 blocking agents have the same effect. Blauvelt tells his patient that using these agents is likely to decrease their risk. Did you enjoy this post? Find more on Medical Dermatology here. Previous PostPrevious Does Board Certification Really Matter?